So, with no real hurry to get to transition only to stand around in the pouring rain, we opted to sit in the car for a bit at the Alliant Energy Center before boarding a school bus to transition. Sitting in the car while it POURED buckets outside!! Once in transition, we set up our gear (trying to find ways to keep it as dry as possible), donned our wetsuits in the mud pit that transition was, and 3 minutes before transition closed made the decision to pull out of the event. We loaded up our gear, trudged through the mud pit, and headed back to the Alliant Energy Center where the car was. Hmmm…is this a Tough Mudder Triathlon????? I talked on the phone with Coach Kelly. She really wanted me to test my fitness since I was trained, tapered, and super jazzed to test my endurance. I immediately got excited about the idea of doing a solo 70.3 race! Coach Kelly encouraged me to come up with a name for my event and reminded me to mentally prepare to crush it! She may have also told me not to get a drafting penalty on a solo race! 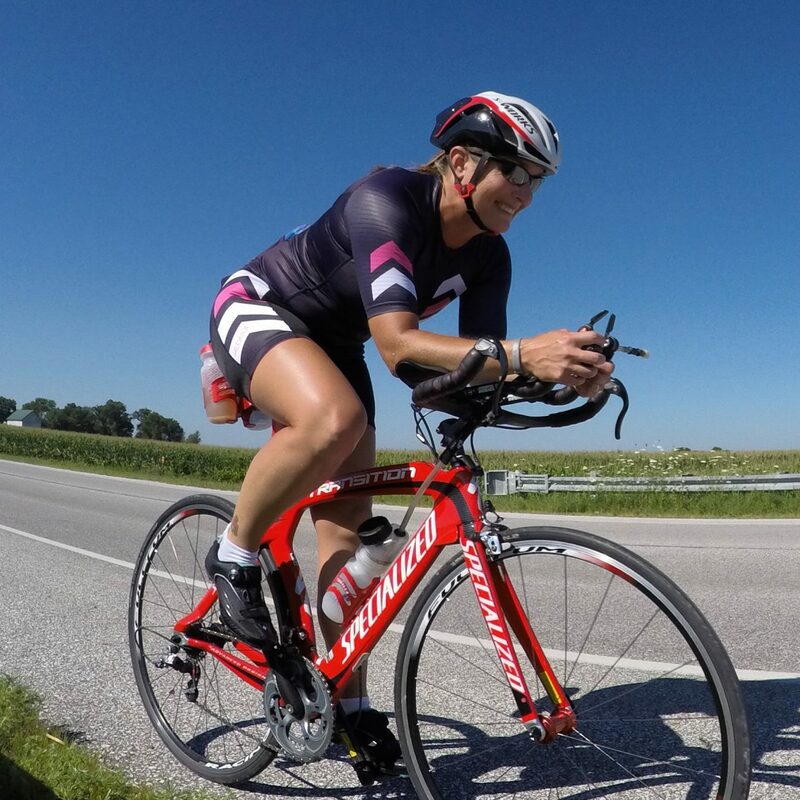 😉 I came up with the name “Flatlander 70.3” for my event since our terrain in central Iowa is pretty flat compared to most locations and MUCH flatter than the IMWI 70.3 course!! Fast forward to Tuesday morning…race day!! Trying to smile through the discomfort in my gut! I was very happy to be done with the Flatlander 70.3 race!! Overall I finished in about 7 hours and 10 minutes of total time + 1st overall. Sure, I did what I could and I finished, but no where near how I had hoped. This was THE TOUGHEST RACE I’ve ever done! After taking some time to think about my race, I have so many take aways and lessons learned! When my stomach is off (even just burping in the water) take Tums! I had them with me, but didn’t consume any. Don’t know what I was thinking…oh wait…I clearly wasn’t thinking!! Because of my stomach issues, it is time to start practicing other nutrition options. This isn’t the first time the salty balls have caused some GI distress for me during a race, so I need to start practicing other options. I am a VERY heavy sweater (not the kind you wear in the dead of winter either)!! My body requires a LOT more salt + water as a result. Don’t skimp on the water/hydration consumption…especially when it is so humid! Drink it all up + take my Base Salt! Self supported races require a lot of planning to try and get all of the hydration/water you need on your own. Having no volunteers, spectators, cheer squads, and other athletes on the course is SO HARD!! I’ve had some races in worse racing conditions that I THOUGHT were miserable, but they weren’t compared to this! Having friends, family, and random strangers around you, supporting you, pushing you, encouraging you, and cheering for you makes tough conditions much more bearable!! My body allowed me to keep pushing it even when my stomach was upset, my legs were cramping, and my mind wanted to quit. Sure I was cramping a bit on the run, but I KNOW I used that as an excuse far more than I should have during this race. I definitely could have run more than I did + I should’ve and could’ve pushed harder than I did in every discipline throughout this race. I am beyond blessed to have a village full of amazing people who were behind me in this crazy adventure!! Thank you to Coach Kelly for believing in me + pushing me out of my comfort zone to have me complete a solo 70.3!! Thank you to Coeur Sports for making super comfortable apparel even when I saturate it in sweat and for connecting me with such an amazing + supportive team of women!! Thank you to SBR Sports Inc. for keeping me chafe-free (even in all of that sweat) with the use of Skin Slick…or should I say skin saver!! Thank you to my cheer squad for encouraging me to keep going and finish this crazy feat…my fave, Ruth, Robin, Liz, Beth, Sara…your social media posts brought a smile to my face when I was done!! 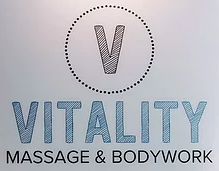 Thank you to Nick at Vitality Massage for working out all of the mess RIGHT after I was done racing!! Thank you to my FAVE!! You are my rock…your unwavering support and encouragement help me achieve the impossible!! I’m so grateful to have you by my side!! Chasing dreams means doing the work to get there! When you are committed to your dreams, sometimes you have to tap into every ounce of determination you have to make your dreams come true! Easy spin of the legs to flush them out! Look at that bluebird sky!! Cycling on the surface of the sun today!! Holy hell is it a HOT + STILL one today!! I sandwiched my last Friday with students for the school year between a double run!! 5 am miles = lots of humidity acclimation!! I sandwiched my last Friday with students for the school year between a double run!! 2 pm miles = lots of heat acclimation!! Strength training at the gym for a change! When the husband is away…the wife eats sushi!! Normatec Recovery boots are a must post long run…even if it means multitasking during a morning work meeting! Basil (not the dog) is ready to grow this summer! How do you probiotic?! So grateful to have Sound Probiotics in my tribe!! Use code PUSHMYLIMITS at checkout for 10% off your next order!! New Coeur Sports gear!! Stock up now!! Use code SWEETSUMMER for 30% off through Memorial Day!! Thanks to SBR Sports, Inc. for the #trislide keeping me all lubed up during my open water swim!! You can get some too!! 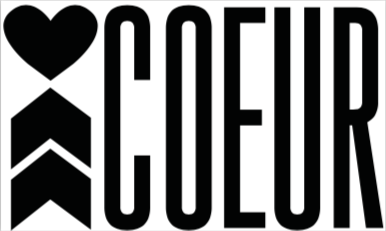 Use code KEPL18 at checkout for 20% off your next order! !